Large yarn bowl with a purple ombré panel pattered exterior and a magenta pink interior. 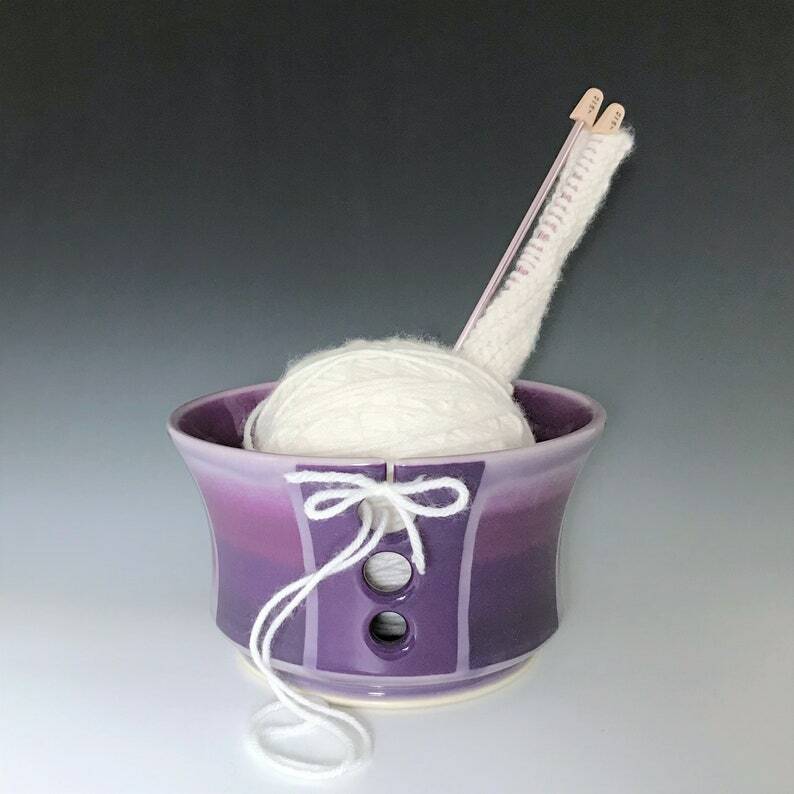 I designed this bowl with a wide base so it's sturdy and won't tip or move when you pull the yarn. It holds one very large ball of yarn or two small balls of yarn. 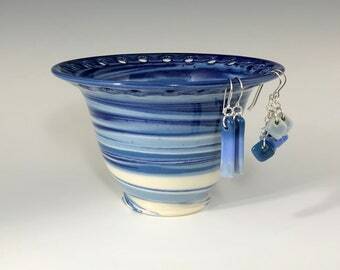 Size: Height 4 ¼", Diameter 7" at the rim. 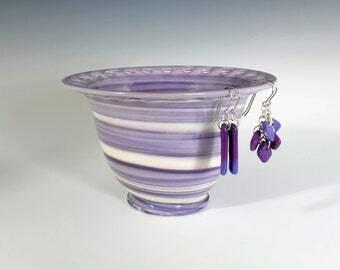 This listing is for the purple yarn bowl pictured.